Clinical compression stockings have a comprehensive range of uses in the outpatient and partial inpatient treatment of thrombosis, in vein surgery and as a general replacement for compression bandages for the lower extremities. 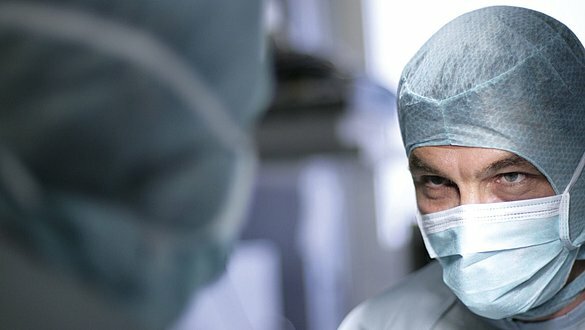 What comes after vein surgery? 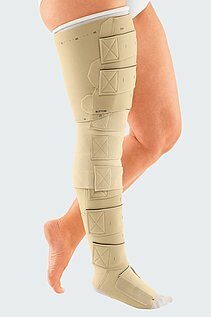 Clinical compression stockings are used instead of time consuming compression bandages, and provide optimum compression of the operation site. Compression therapy with mediven struva wound dressing aids offers the greatest possible level of medical safety and care and is easy to carry out. Even untrained individuals are able to apply a dressing with the medically correct pressure gradient. Painful constrictions or so-called window oedemas, which often occur when pressure dressings are incorrectly applied, are reliably avoided. mediven struva wound dressing aids are available in various sizes and a variety of lengths (knee-length, thigh-length or with waist attachment). This range allows optimum care of up to 80 % of all patients during and after surgery.